Table top or on the wall! 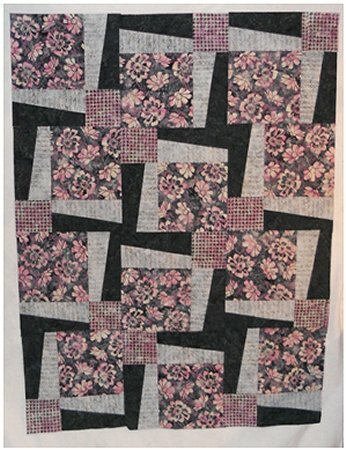 A border pattern with paper pieced corners that add a dramatic look to any center 16 ½” -20 ½” x 20 ½”. 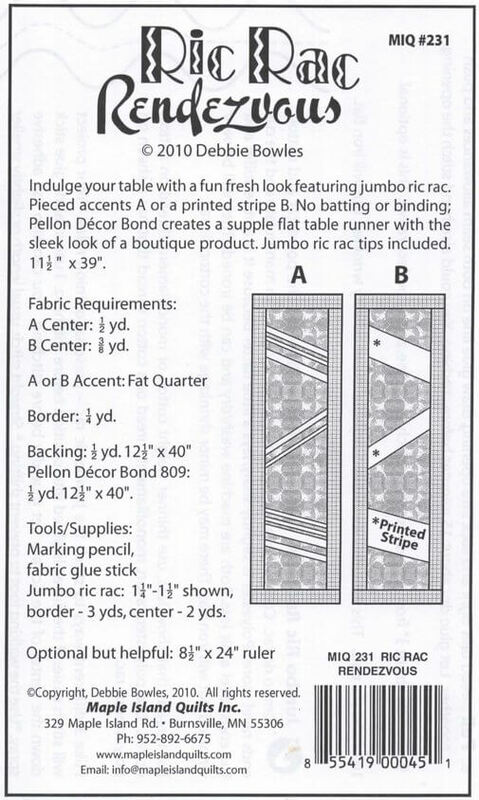 Use special fabric or part of a panel for the center. 3 border versions and 2 sizes of each version. Projects finish 28”-32” x 32”. 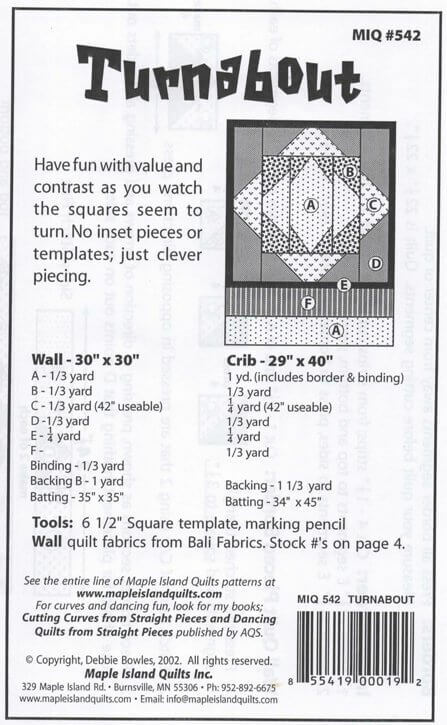 Bonus placemat instructions 13 ½” x 19 ½”. 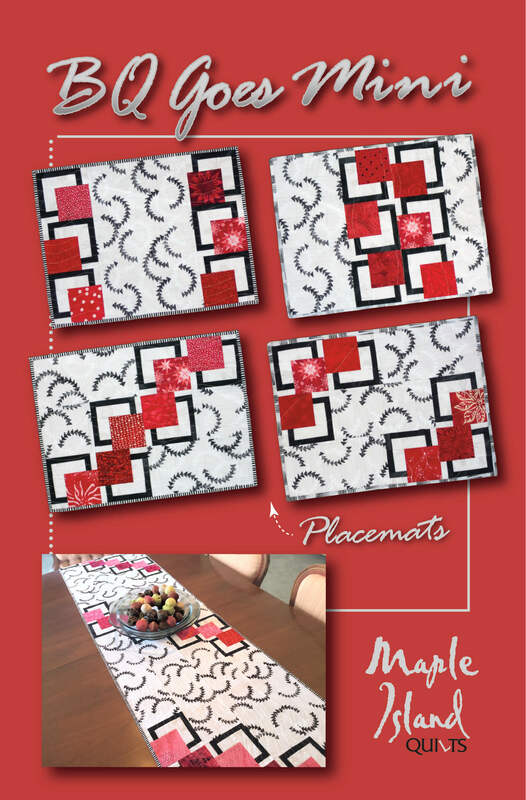 Table mat and runner ideas. Paper piecing experience assumed. Consumer draws the foundation; see supply list. 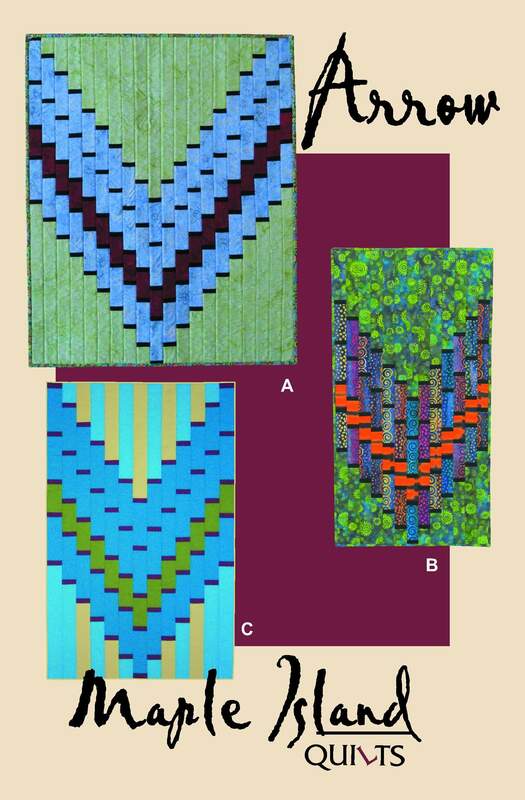 Flashback to bargello, but choose your fabrics a bit differently for an updated look. 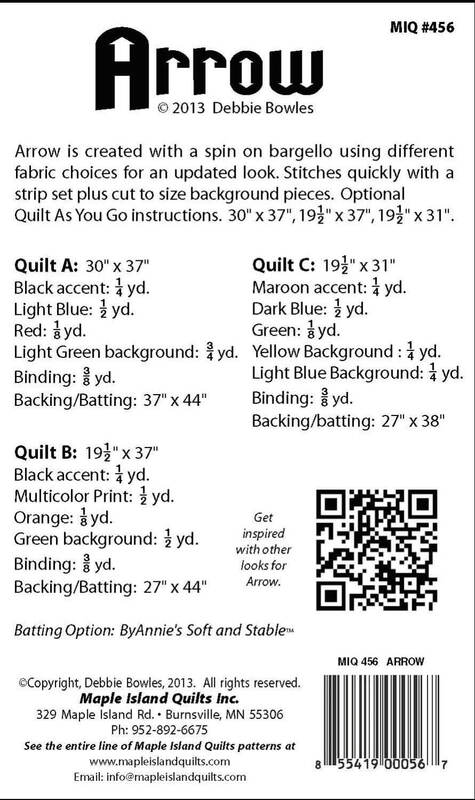 Stitches quickly and accurately with a strip set plus cut to size background pieces. 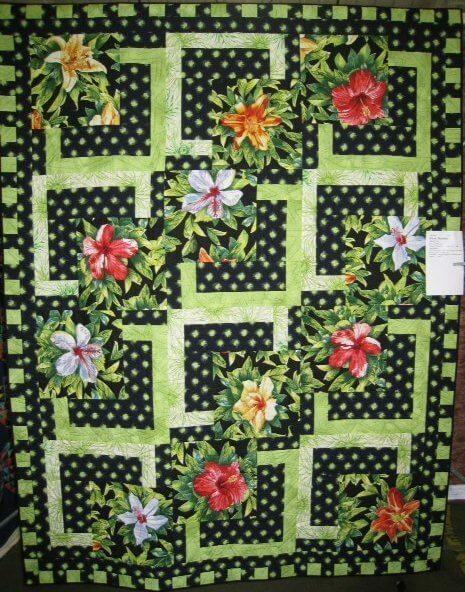 The pattern includes optional instructions for using the Quilt As You Go method of quilting….when you have finished piecing your project it has been quilted and is ready to bind. Solids, prints and stripes will all create very different looks making this a fun project to explore color and value. 30” x 37”, 19 ½” x 37” and 19 ½” x 31”. Straight lines create an undulating shape as they echo through these projects. 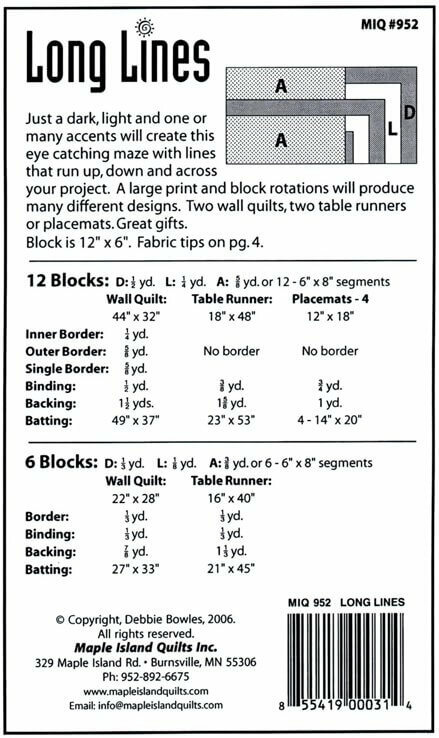 Make 1-2-3 blocks for the wall or the table. Bonus instructions for turning 1 block into a pillow. Can you picture 3 - 18” pillows in contrasting colors on your sofa? Made with strip sets and high contrasting fabrics. 18” x 18”, 22” x 22”, 18” x 36”, 18” x 54”. 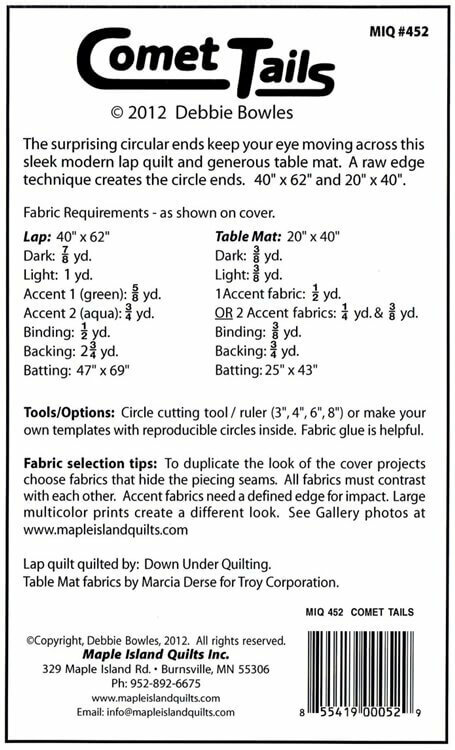 The surprising circular ends keep your eye moving across this sleek modern lap quilt and generous table mat. We’ve used a fast and fun raw edge technique to create the circular ends. 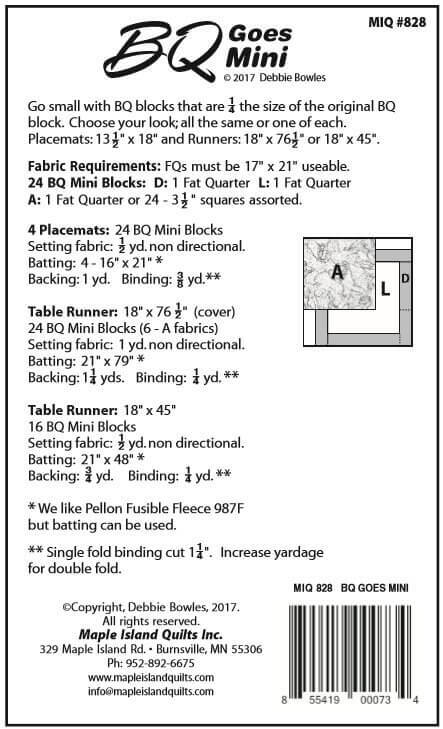 The pattern has a lap quilt, 40” x 62” and a large table mat, 20” x 40”. The pattern contains reproducible circles (3”, 4”, 6”, 8”) or you can use a circle cutting tool. 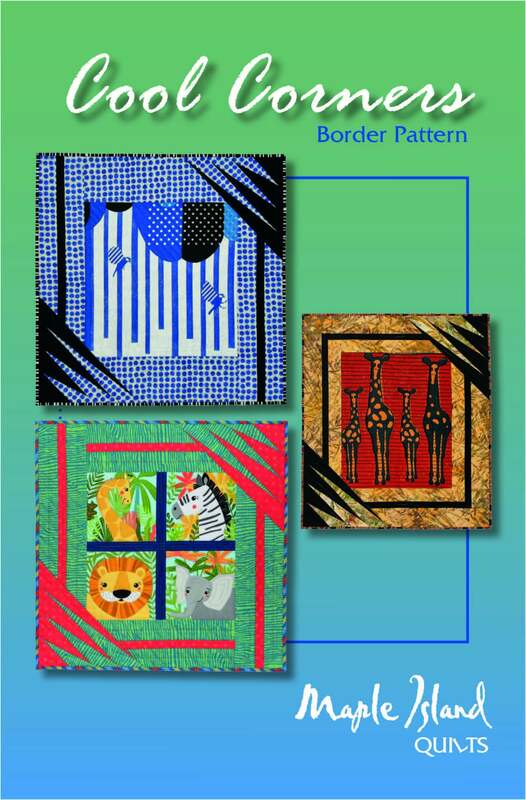 You will want to choose fabrics that hide the piecing seams to duplicate the look of the cover projects. 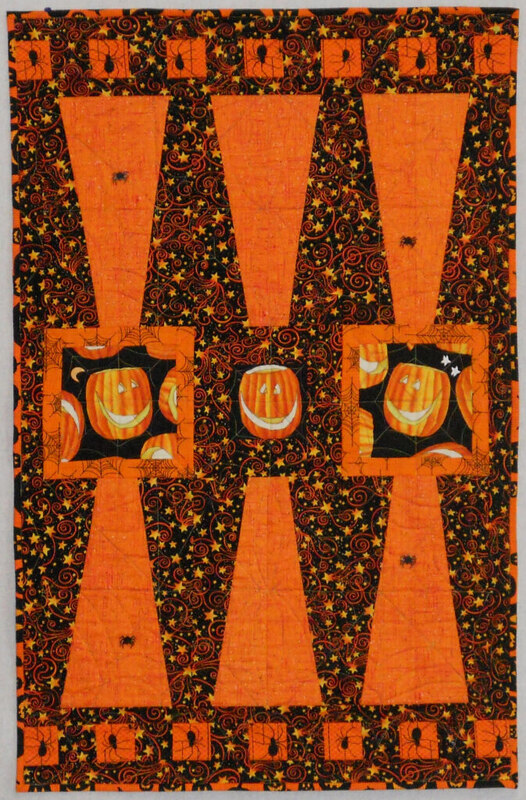 The table mat is great for seasonal or holiday projects. 40” x 62” and 20” x 40”. We have always had fun with stripes here at Maple Island and we were especially excited about this fabric from Michael Miller – the Indo Ikat Collection. Very wide two color stripes that are a printed looking Ikat. 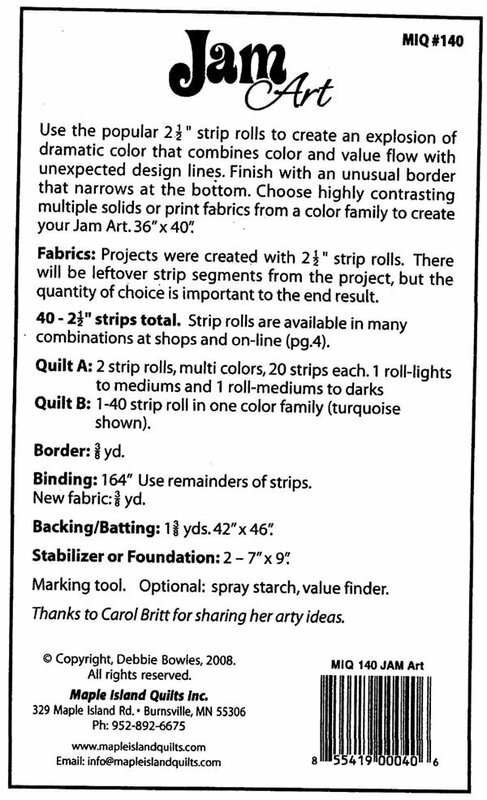 The pattern includes strip sets for you to make if you can’t find a stripe that you like. The optical illusion from the dark and light is fun to see on your table or wall! 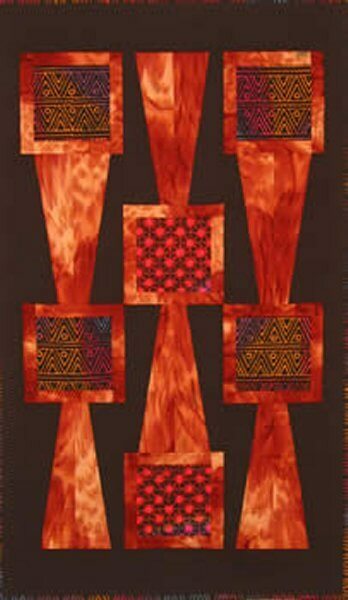 The projects are made with 60 degree equilateral triangles and they stitch up quickly. We used an 8 ½” x 24 ½” ruler with the 60 degree lines for both the strip cutting and the triangle cutting. Start with 1 ½ yds. 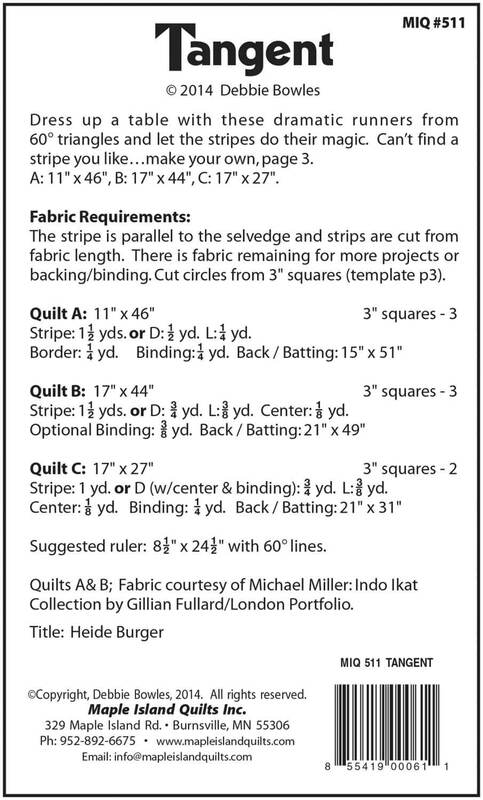 of a stripe, cut your strips the length of the fabric; you can make multiple projects from the yardage or use the remainder for backing. Three projects 11” x 46”, 17” x 44”, 17” x 27”. Just a dark, light and one or many accents will create this eye catching maze with lines that run up, down and across your project. 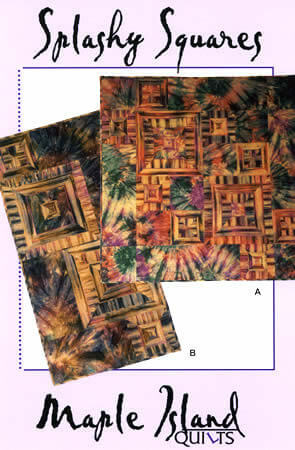 A large print and block rotations will produce many different designs. 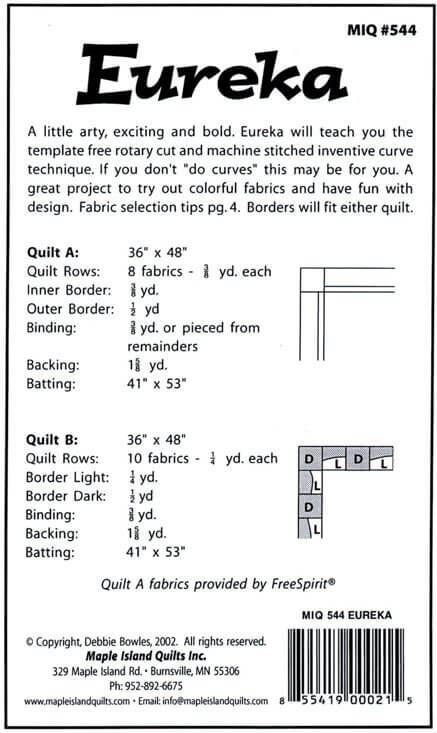 5 sizes: wall quilts 44” x 32”or 22” x 28”, table runners 18” x 48”or 16” x 40” or four placemats 12” x 18”. 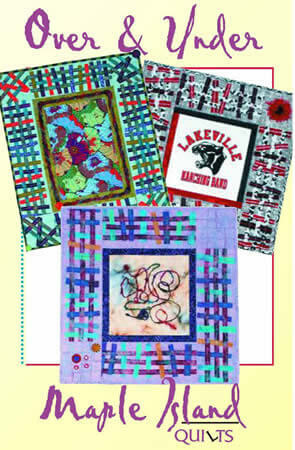 Have fun with these easy to stitch little angles and watch them move the eye toward the accent squares. Choose a dark and light with good contrast for the angle block and something fun for the framed center squares. Do you have a FQ of something special? 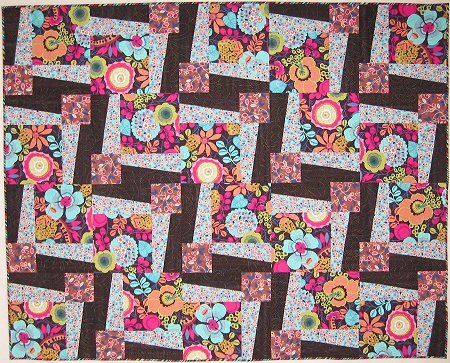 The centers and border accents can be cut from 1 FQ for the smaller piece. 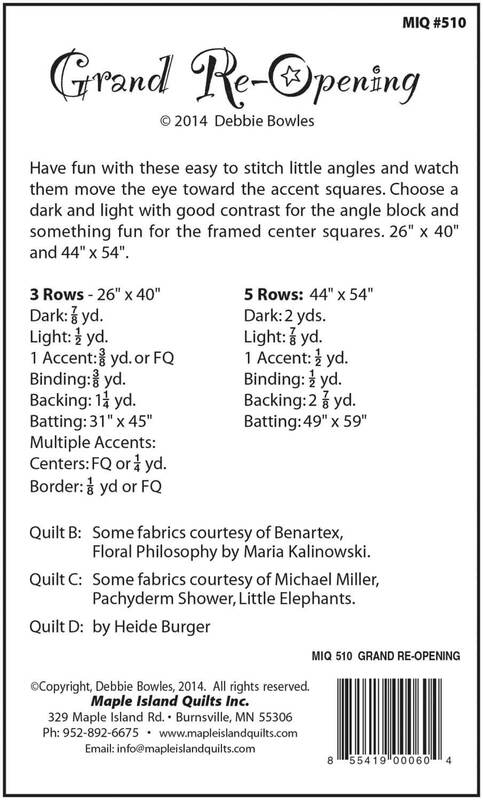 You could use a small applique piece or photo transfer for the center squares. 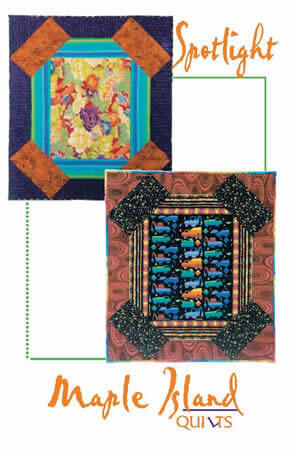 The smaller size is great for a crib quilt or a holiday wall piece. The larger size makes a small lap size quilt. 2 sizes, 26” x 40” and 44” x 54”. 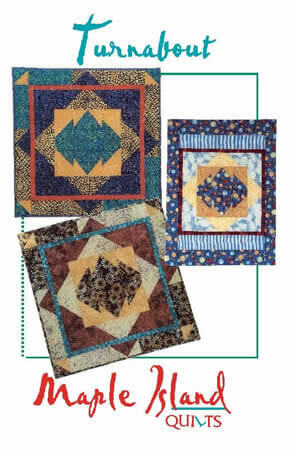 Have fun with these easy to stitch little angles and watch them move the eye toward the accent squares. Choose a dark and light with good contrast for the angle block and anything goes for the framed squares. Rotate the blocks for design options. 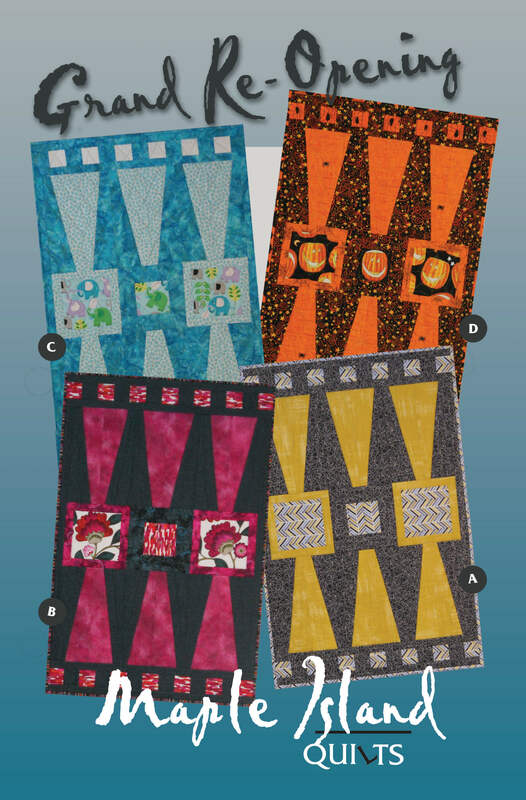 Cover quilts show variations in fabric selection and are described on page 3 with fabric tips. 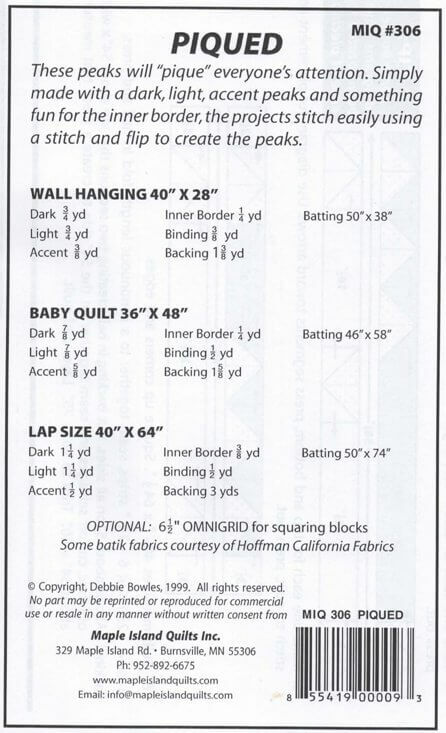 Three sizes: 28” x 48” wall, 36” x 48” crib and 48” x 68” lap. 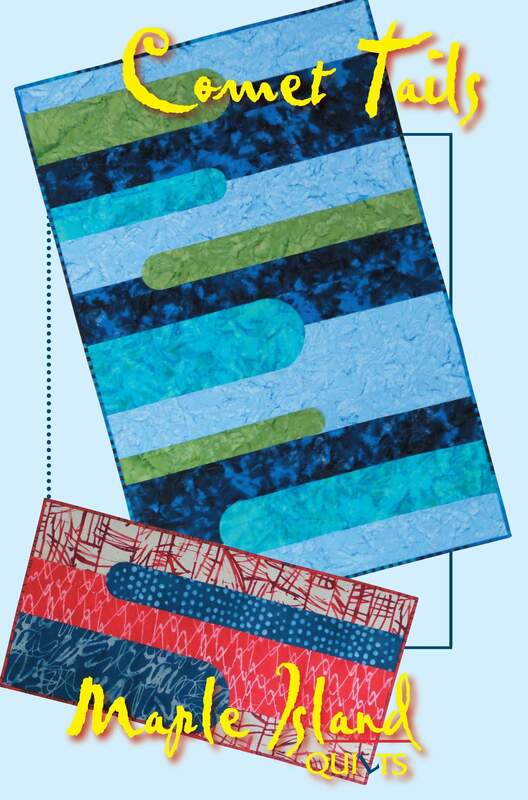 Create a bold frame for fabric you love using this easy template free long angle. 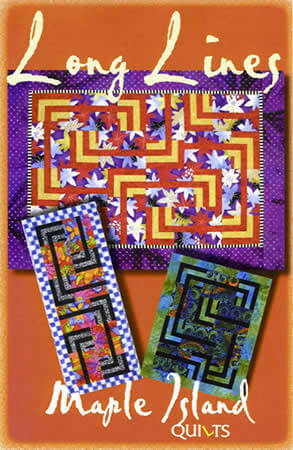 Fun to do, the frame angle keeps your eye moving around these quilted wall hangings. Three sizes: 30" x 36", 36" by 42" or 28" x 34". A great center fabric with a slightly curved border and edge combine for a light-hearted table accent. Try it seasonal, special or every day with easy to achieve curves. 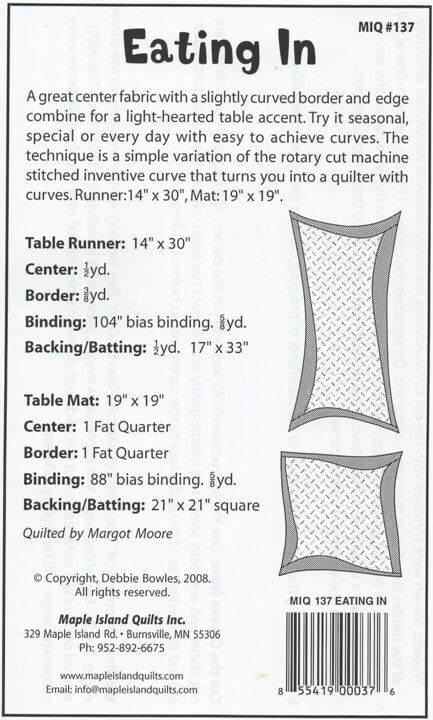 The technique is a simple variation of the rotary cut machine stitched inventive curve that turns you into a quilter with curves. Runner: 14" x 30", Mat: 19" x 19". A little arty, exciting and bold. Eureka will teach you the template free rotary cut and machine stitched inventive curve technique. If you haven't explored curves this may be for you. 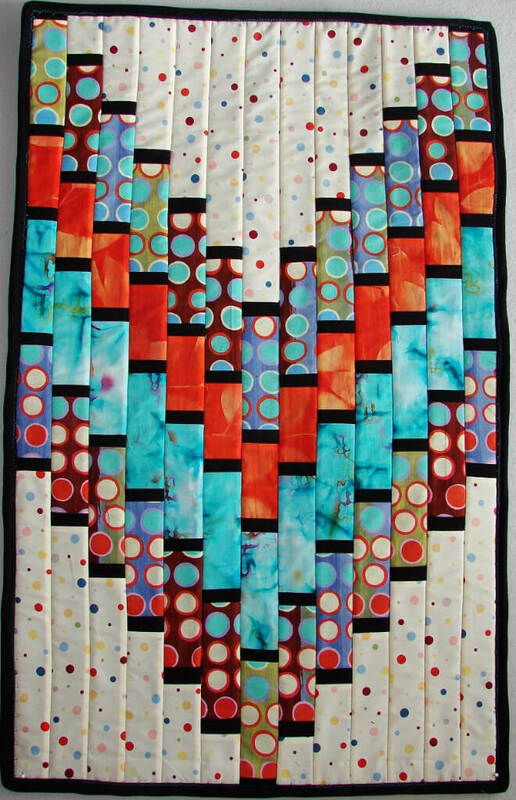 A great quilting project to try out colorful fabrics and have fun with design. 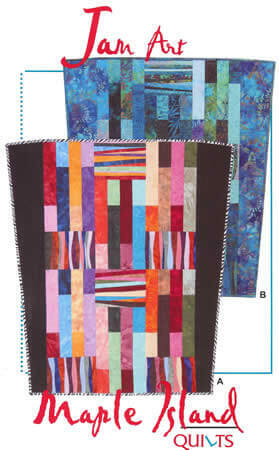 Both quilts are 36" x 48"
Use the popular 2 1/2" strip rolls to create an explosion of dramatic color that combines color and value flow with unexpected design lines. 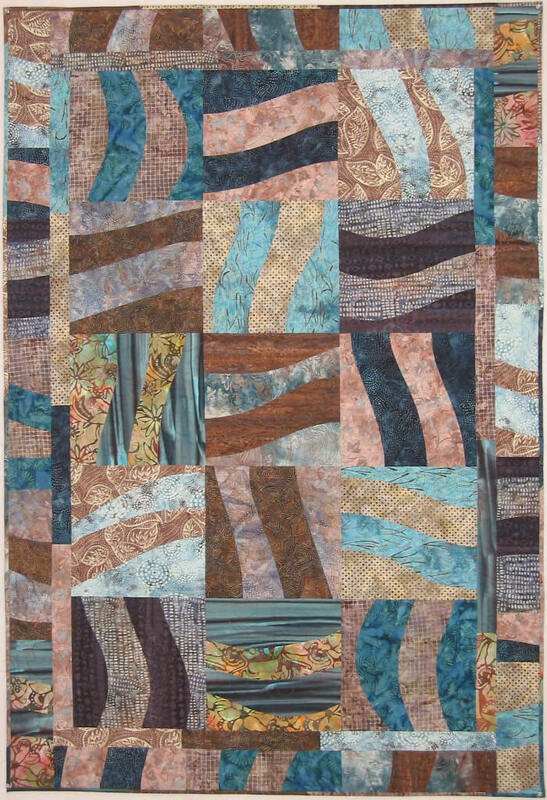 Finish with an unusual border that narrows at the bottom. 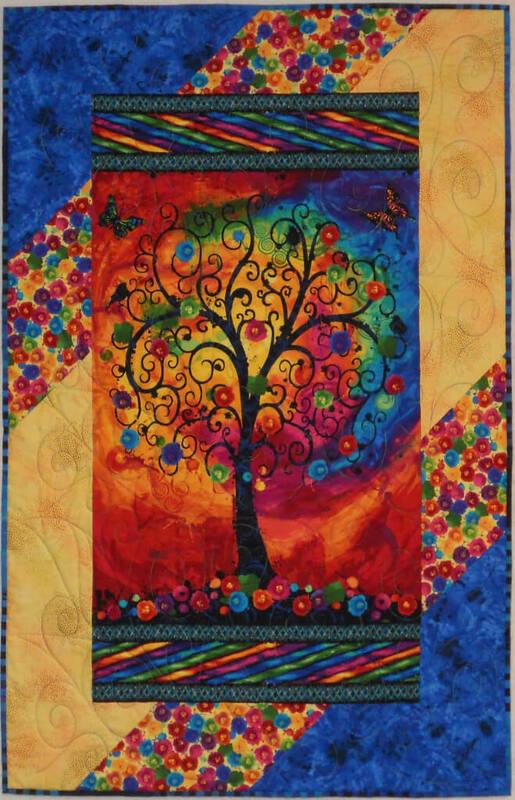 Choose highly contrasting multiple solids or print fabrics from a color family to create your Jam Art. I’ve been a Ric Rac fan for many years; all sizes and colors. The new maxi jumbo ric rac now available in so many colors really caught my attention. 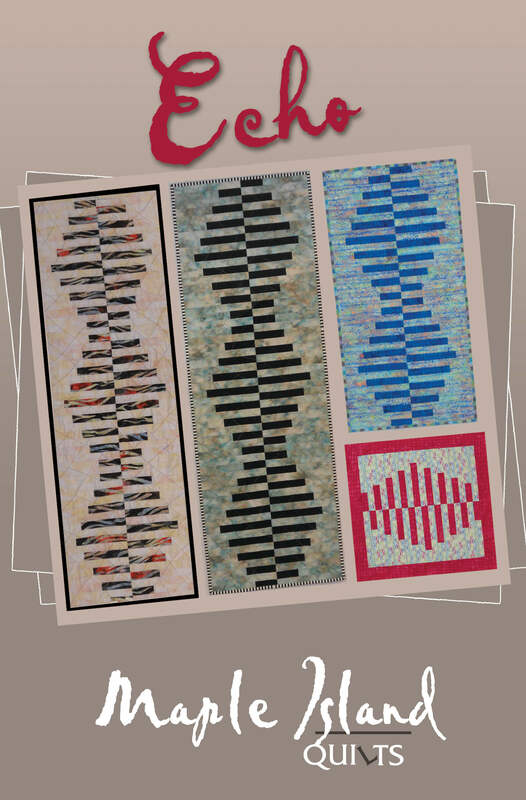 Our new Ric Rac Rendezvous table runner is fun to do and will make you smile. It is a bit different because it uses Pellon Décor Bond instead of batting resulting in a flat but supple runner that looks like something you would find at a high end boutique. 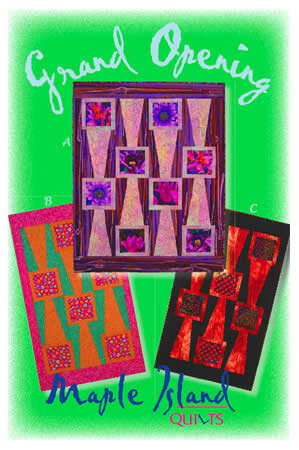 With no binding or quilting it is quickly done and perfect for all occasions, including gifting! 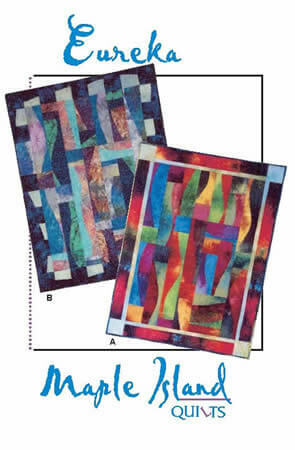 Two styles; make a pieced insert or use a printed stripe in place of the pieced insert. Then have fun with ric rac to finish. The pattern includes stitching tips for ric rac. Be sure and look at the gallery for more looks. 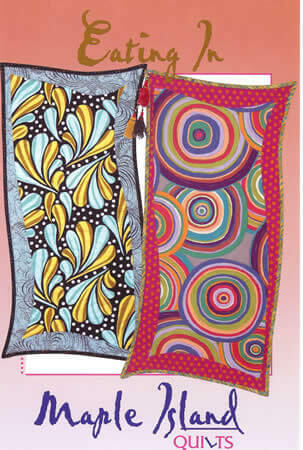 Two styles both 11 ½” x 39”. These peaks will pique everyone's attention. 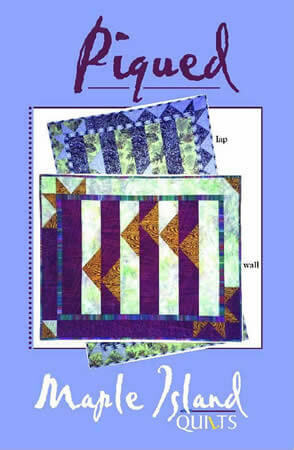 Simply made with a dark, light, accent peaks and something fun for the inner border, the quilting projects stitch easily using a stitch and flip to create the peaks. 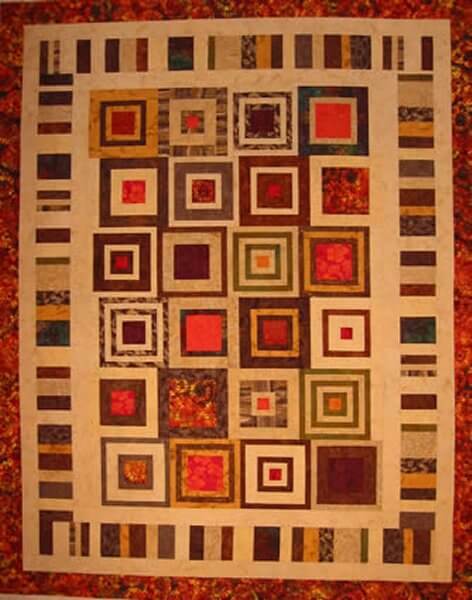 Three sizes: 40" x 28", baby quilt size 36" x 48" or lap quilt 40" x 64". Every stripe will create an entirely different look with this bold project that uses the line of the stripe to make a fun statement. Each block you design will be different and uniquely your own. No triangles to stitch or cut, just squares and rectangles. 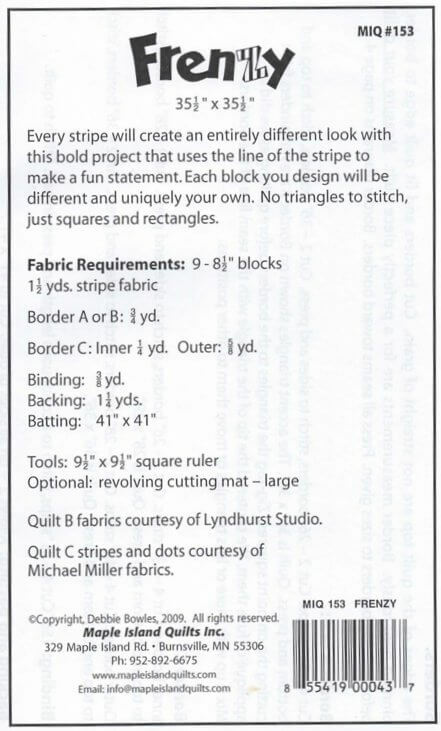 Use a wonderful stripe to create the interior frame for a special fabric or group of quilt blocks. 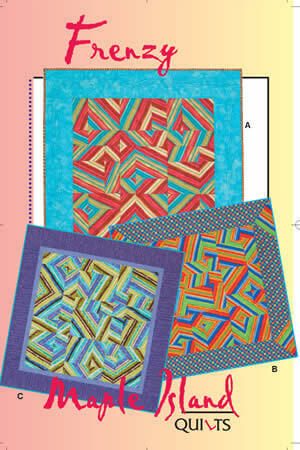 An achievable stitch and flip forms the bold corner rectangles. 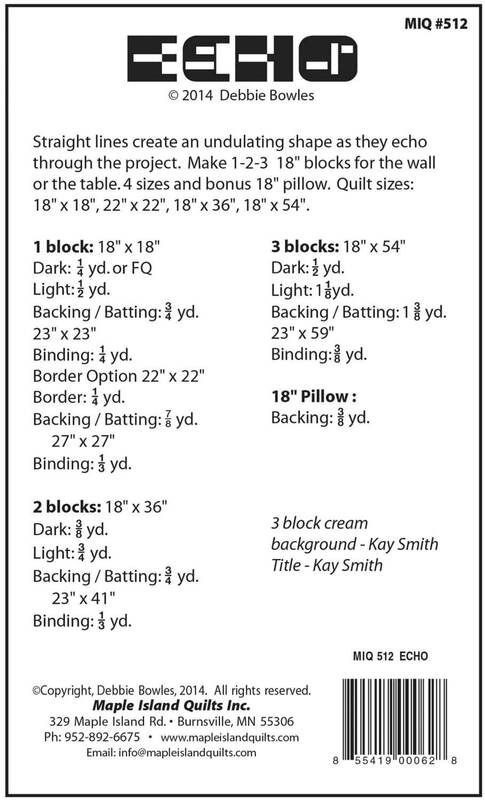 Easy instructions for resizing to accommodate other center sizes than shown (16” x 20”). Weave raw edge strips onto a fabric base for a border that is as fun to look at as it is to do. 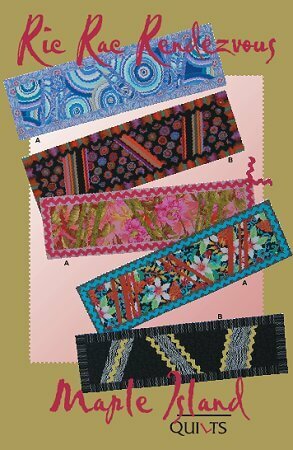 After weaving, stitch the strips with fancy threads or decorative stitching and finish with buttons, trims or any embellishment that you can think of. 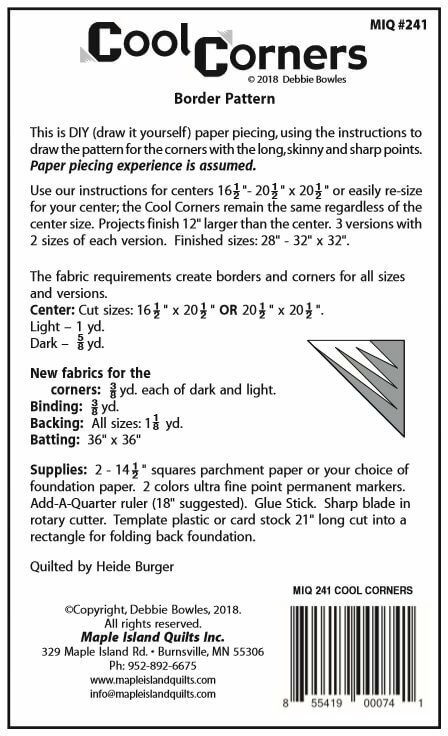 Two center sizes are perfect for showcasing great fabric, orphan quilt blocks, an embellished project or even a T-shirt. 26” x 26” or 28” x 34”. 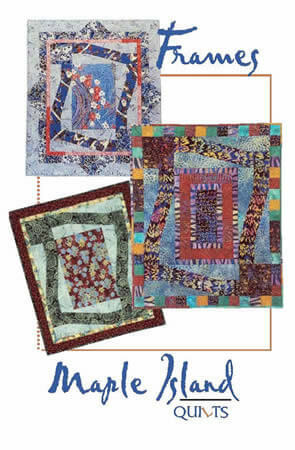 Have fun with value and contrast as the quilt squares seem to turn. 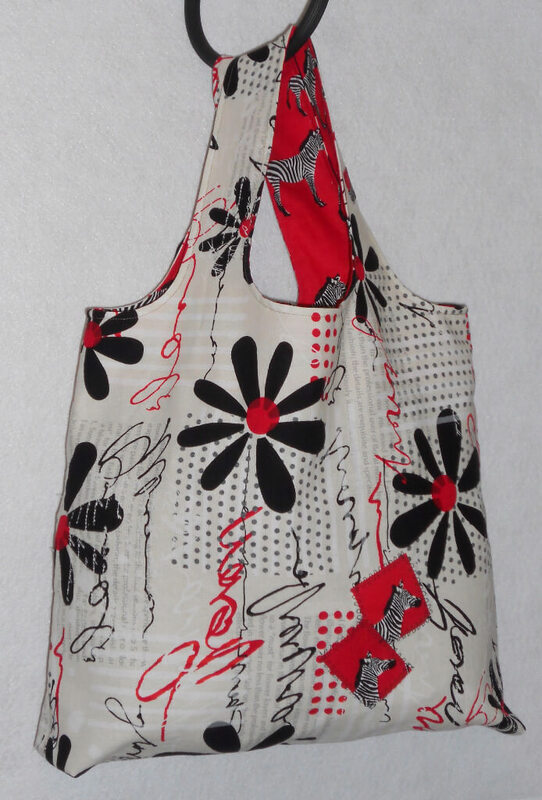 No inset pieces or templates, just an easy stitch and flip. 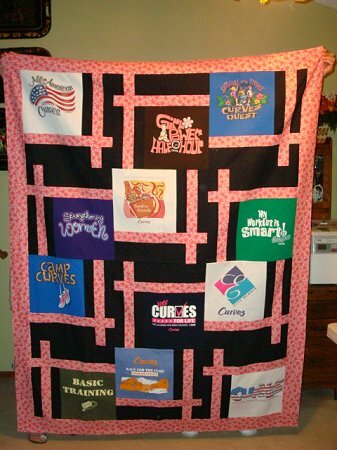 Wall quilt 30" x 30", crib quilt 29" x 40". Begin with squares and diagonal cuts. 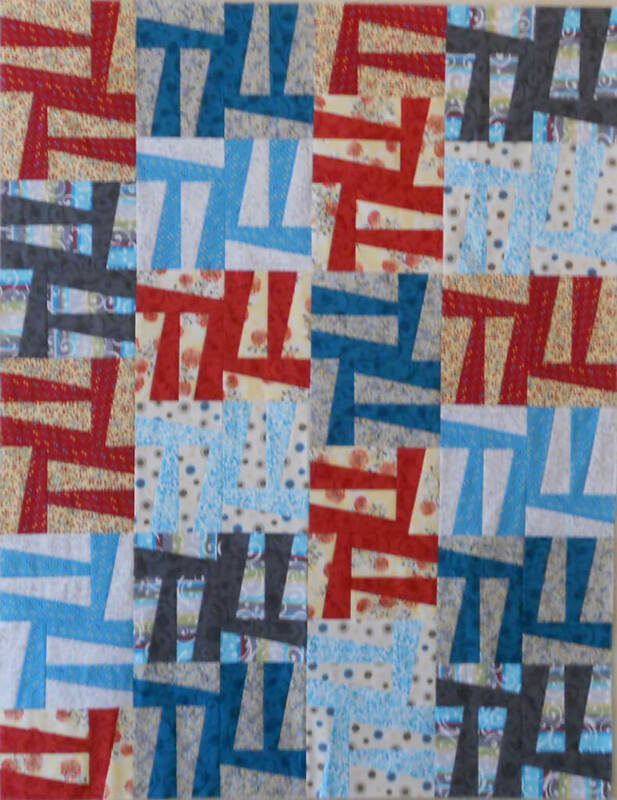 Slice, swap and use a fun raw edge idea to eliminate the seam allowances and create unusual new squares. 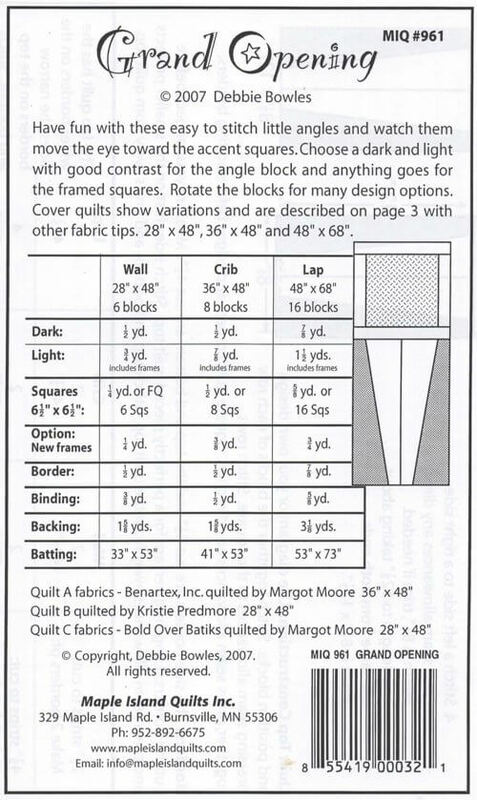 Benartex has kitted these projects, ask your local quilt shop about the kits. Also looks great with regular stripes and large prints. 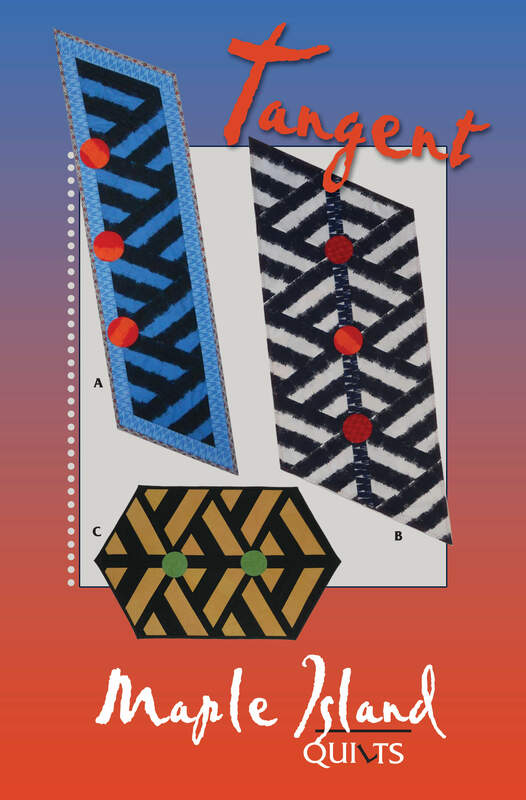 Requires zigzag or decorative stitching. Blocks are 14” and 7” and the quilts are 42” x 42” and 21” x 42”.